LIFEPAC 1st Grade History & Geography is a biblically integrated approach to teaching your child about history, geography, and living in the world. Ten engaging worktexts in this Alpha Omega curriculum present lessons on being special in God's eyes, communication, living in a family, farms, cities, community helpers, our country, our world, and more! Today's mainstream culture often gives a secular, humanistic view of history and life both in our country and the world. Wouldn't you like your child to learn history from a Christian perspective? LIFEPAC History & Geography from Alpha Omega Publications offers you the ideal solution. Designed to build spiritual maturity and reinforce a biblical world view, this outstanding homeschool history curriculum integrates Bible truths into instruction in six major content strands. These Alpha Omega curriculum strands, which are covered at most grade levels, include geography, history, government, citizenship, economics, and social studies. Presenting lessons in ten colorful worktexts, the focus of LIFEPAC 1st Grade History & Geography is "Your World". Your child will learn about being a child of God, feelings, family relationships, God's family, places people live, firemen and policemen, the pilgrims, patriotism, the globe, and different countries. What are some additional features of this popular homeschooling curriculum? The LIFEPAC student worktexts provide daily lessons and review as well a self tests and unit tests for the purpose of regular assessment. Also included is an essential teacher's guide which presents step-by-step teaching instructions for each lesson. This must-have teacher's guide also includes a complete answer key and information about additional resources and learning activities. This supplementary material enables parents to customize the program according to individual student interest, ability, and need. Sound good? It is! 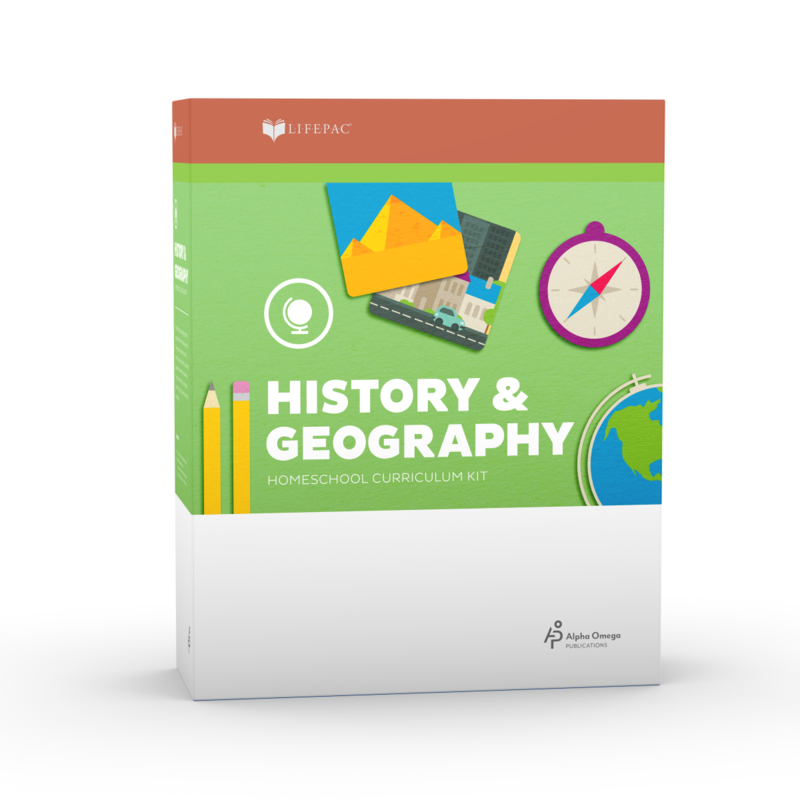 Order LIFEPAC 1st Grade History & Geography today!